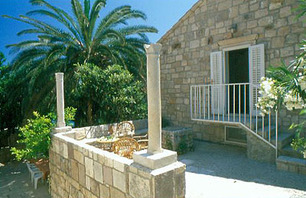 This charming stone property is above the beautiful little village of Podobuce with splendid views to the sea. 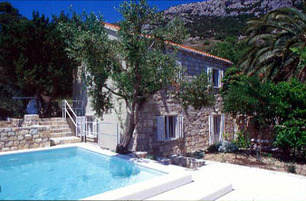 The village is in the well known Croatian wine area of Postup and has a lovely bay with a pebble beach; a 200m pathway takes you from the property to the beach and the village. 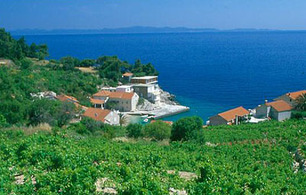 About the same distance on the seashore, is a family summer restaurant which serves traditional Croatian food. 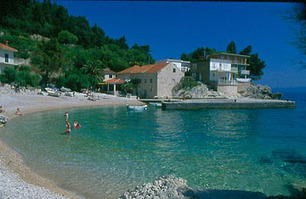 The nearest shops are in Orebic where you will find many bars and restaurants only 9km away. 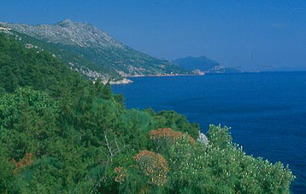 Orebic has frequent ferries to Korcula; Trstenik only 15km away has a lovely beach overlooked by restaurants; Prapratna (40km away) has ferries to the island of Mljet which has one of the best National Parks in Croatia. The property sits in grounds of 700m2 and is split into two stone buildings.The first building is entered via a terrace with sea views by the swimming pool into the air-conditioned living room which has an armchair, two sofas, coffee table, satellite TV, hi-fi and CD. On the same floor is a double bedroom, a twin bedroom, a shower room/WC and a separate WC. The upper level is accessed by stone steps from the garden to a terrace from which you enter into a living room with air-conditioning, table and chairs plus TV adjacent to a kitchenette with fridge. 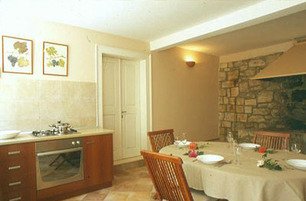 Off here is a double bedroom, a twin bedroom, a shower room/WC and separate wc. Between the two buildings is a nice garden with a barbecue and big dining table. The second part of the property has entry into a spacious kitchen/dining room with open fireplace and which is fully equipped with hob, oven, fridge, fitted cupboards, microwave and dishwasher and traditional dining room furnishings with a large dining table and chairs. Off here is a utility room with a washing machine. On the first floor, via an outside entrance only, is a living area with TV and air-conditioning plus kitchenette with fridge plus dining table with chairs. 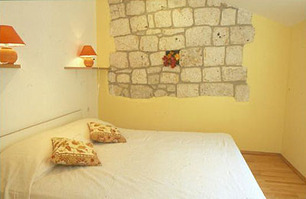 Off here are a double bedroom, a twin bedroom plus a shower room/WC. 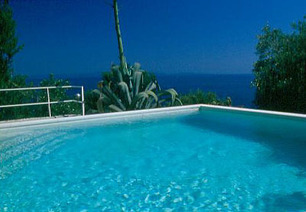 The swimming pool measures 5m x 5m; it has an outside shower and magnificient views to the sea. Special reduced prices for groups of 4 or less on all dates except July and August. Getting there: Sunday arrival at Dubrovnik. Drive 2 hours.